For photographers, artists, and other creatives, here are some beautiful themes and stunning templates you can use for your portfolio websites. Nowadays, it’s not enough to show your clients a collection of your printed works. With the necessity of smartphones and computers becoming more and more evident every day, it is also imperative for every anyone in the creative field go beyond their canvasses and prints. 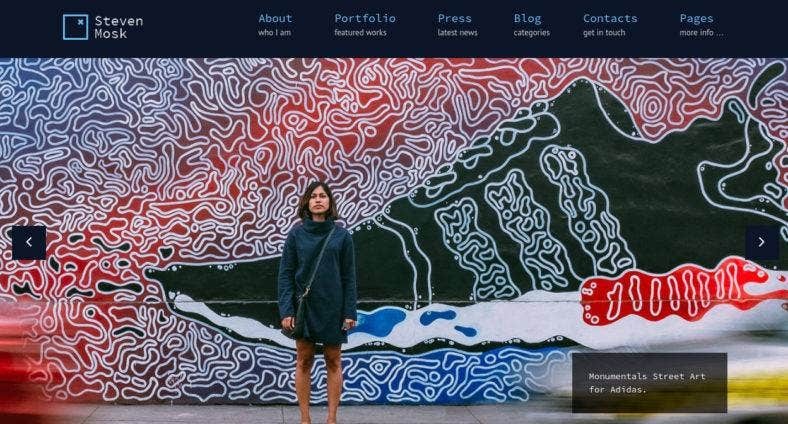 Impress your tech-savvy and modern audience with this collection of exciting and interesting artist and photographer website themes. Being from popular theme sources, these templates are packed with amazing features that will surely help you build a high-functioning, as well as a visually striking, website that your audience will surely love. So, dig in and enjoy these themes. This responsive WordPress theme is made especially for photographers who want a sleek and modern design. Julie Bernerro is crafted according to the latest web design trends, with 7 available header layouts to choose from. It features a full-screen image background with a stylized typography overlay for a breathtaking visual effect. The theme is also boasts superior functionality as it is packed with features such as Live Customizer, TM Gallery, and many others. Defrozo is a unique Moto CMS 3 Template with a rich layout and an amazing design. It includes extra templates that enable you to build original pages according to your preferences. 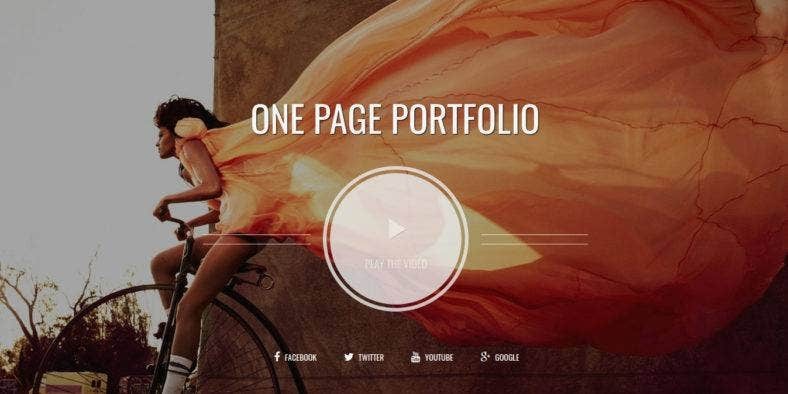 Featuring a drag and drop website creator, you can build your online portfolio with tons of ready-made blocks in just a few minutes. It is an all-in-one solution for any photographer and artist who needs a website to promote their works online and expand their business. A multipurpose HTML template, Indigo is a theme built for online photo and video portfolios. 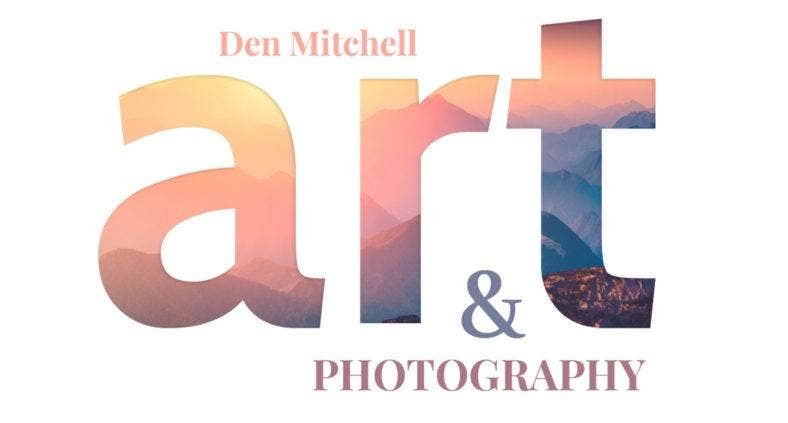 It comes with 12 homepage layouts that you can choose from, over 10 gallery and album variations to showcase your works, and even an Instagram gallery to reach out to a wider audience. Built with the Bootstrap framework, this template is a fully responsive template with a clean design that will surely look great on all devices. 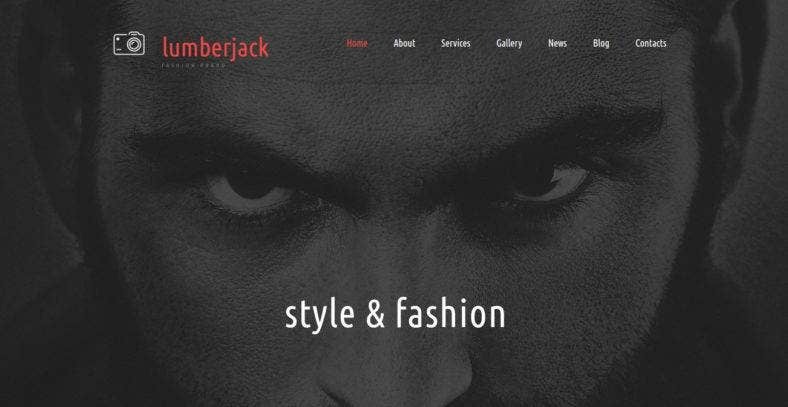 Lumberjack is a photo gallery template created through the Moto CMS platform that offers fantastic functionality and a varied collection of designs. With its handy drag-and-drop editor, presets builder, color picker, and useful widgets, you can quickly build sections and other elements on your website. You can also modify it with a diverse set of customizable presets and widgets. It also features a parallax effect and creative animations to enhance the visuals of your website. 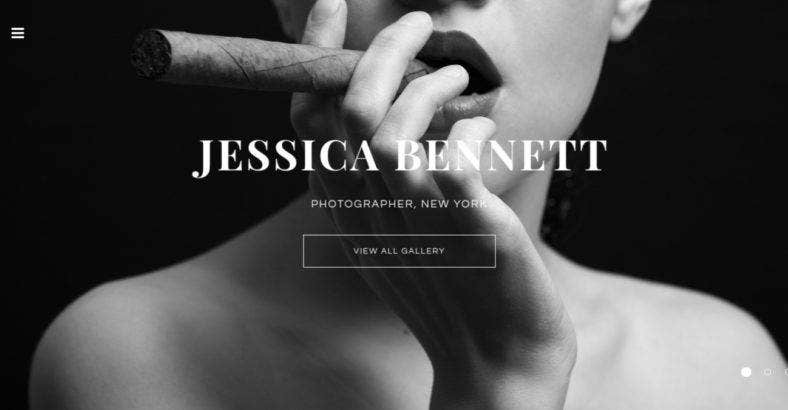 Another beautiful photographer portfolio website template is Intense. With a minimal color scheme of black and white, it directs the viewers’ eyes and highlights your creative and colorful photo galleries. Easy to use and easy to install, this theme also comes with functions you can use to share your works through social media.. Other than these, this theme comes with modern and dynamic features making it suitable for online art galleries as well. 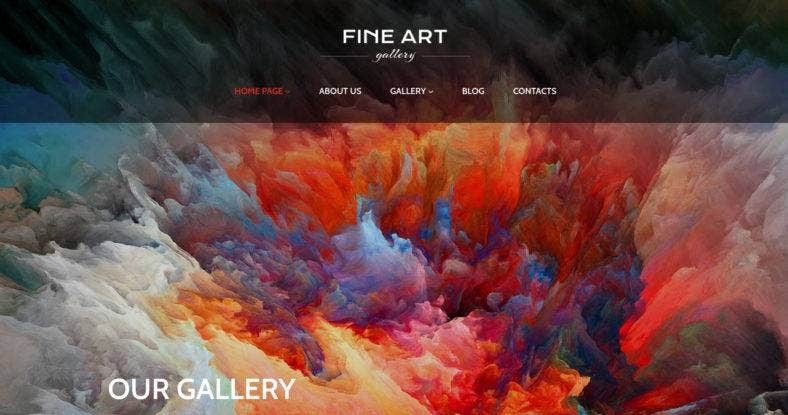 This art gallery WordPress theme is an eye-catching and fast-loading template that is perfect for online art galleries and other artists’ portfolio. Made with WordPress, Fine Art comes with a bunch of powerful features such as: MegaMenu for awesome navigation; MotoPress Editor; and Slider to manage page elements and help you choose the perfect slider for your website. The theme is fully responsive, cross-browser compatible, WPML-ready and SEO-optimized. 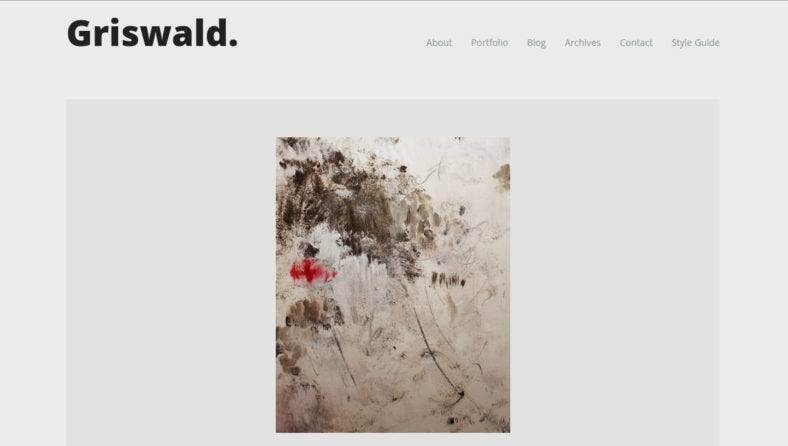 This modern artist portfolio theme is another WordPress template that offers an edgy and stylish design for every contemporary artist and photographer out there. Created with robust features like TemplateMonster’s drag-and-drop page builder, multiple layout options, TM gallery, more than 25 modules available, a vast library of preset, and an advanced set of configuration options, Steven Mosk is definiety a powerful website template to be reckoned with. 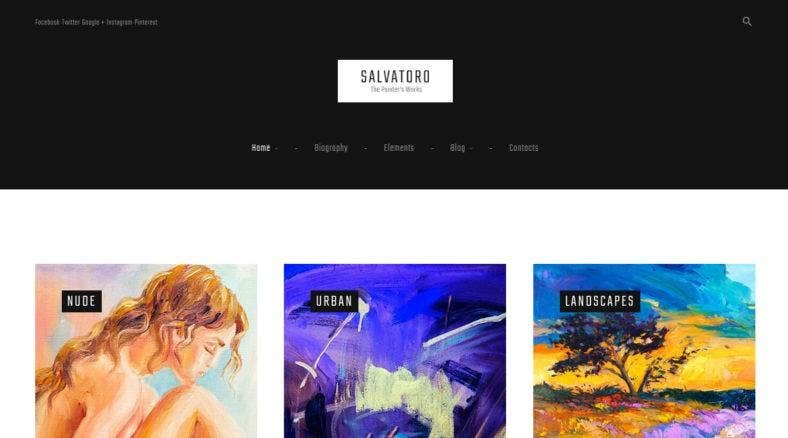 Salvatoro is an artist portfolio theme that is built within the Cherry framework that enables you to create a stunning gallery of your best artworks. The template is easy to use with its advanced functions. These include a large number of animation and layout options such as the masonry-grid style layout. Its custom widgets and sidebars enrich your website’s functionality and navigation, while the live customizer allows you to adjust the theme easily. 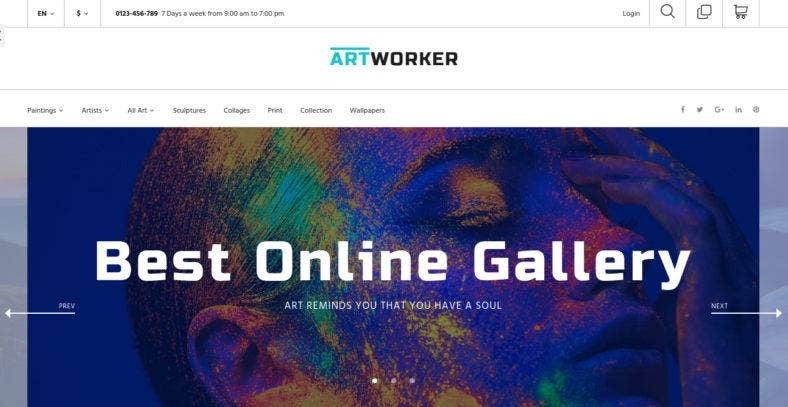 Another online gallery and artist portfolio theme is Artworker. It is a premium PrestaShop template, which means you can integrate eCommerce functionalities on your website so you can sell your artworks online. The theme comes with a unique set of features that includes catalogues, store modes to choose from, a Mega Layout builder with 3 pre-made layouts, tons of exclusive modules, and an ultra-responsive design that fits each and every screen. This professional photographer Joomla template comes with a simple and minimalist aesthetic. It has a pixel-perfect design so it is perfect not just for art and photography but also for interior and exterior design and other creative projects. 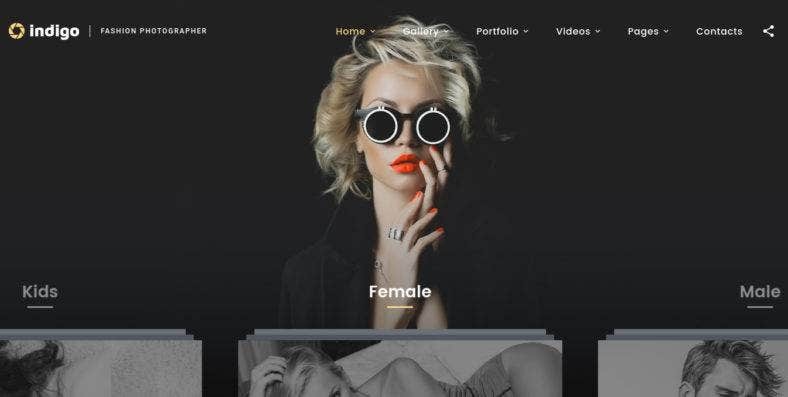 With a responsive design, parallax effect, and background video support, this theme will let you create a visually stunning website that will certainly attract your audience’s attention and interest. Whether you’re running a personal or company portfolio website, this list definitely has the right theme for you. So, jazz up your websites with these templates. This could be the best decision you’ll ever make this year. For more ideas and inspiration, you can also check out our compilation of the best product design portfolio websites.